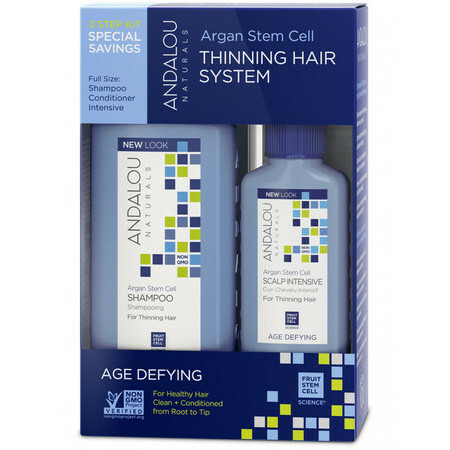 The 3 step process uses the Andalou Argan Fruit Stem Cell Science® technology to stimulate cell renewal, sustain a healthy growth cycle and help protect against chronological ageing. The 3 products work synergistically to help fortify hair fibres, amplify hair body, strengthen the strands, condition and stimulate growth. Lather up the shampoo on wet hair and rinse. Apply the conditioner and rinse. Towel dry hair and part into equal sections, massage a few drops of the Scalp Intensive into the roots. All products can be used daily, and the Scalp Intensive works particularly well if applied before bed. 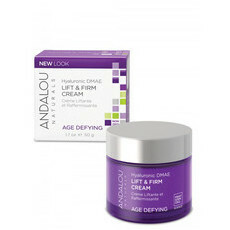 I love Andalou, they make lovely effective products at an affordable price. I found this product combination to be helpful, I certainly noticed less shedding and the shampoo and conditioner provide strength without making my hair frizzy. 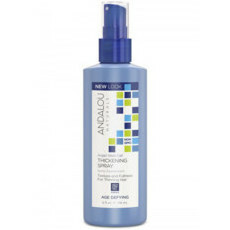 The smell is pleasant and my hair feels smooth and soft, but with a bit more oomph. However.... as others have commented, the treatment bottle is way to small and even with the most careful application lasted only a week. Less shedding, yes, but if it promotes a bit of regrowth I’ll never know because I just can’t afford to keep going at the rate of a bottle per week. Good product, but that treatment bottle needs to be way bigger to tempt me again!